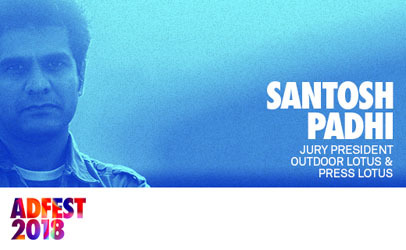 Santosh Padhi, Chief Creative Officer & Co-Founder of Taproot Dentsu in Mumbai is the Jury President of the Outdoor Lotus and Press Lotus. Paddy, as he is popularly known, started his career with DDB before moving to Leo Burnett for ten years. It was eight years ago that he decided to set out on his own with Taproot India – now Taproot Dentsu – which is one of India’s top creative agencies today and was rated by AdFest in 2010 as the ‘Best Performing Agency from India’ after winning multiple Gold awards. 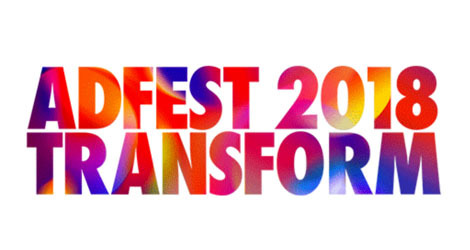 “It’s always a privilege to be associated with AdFest, a festival I love more than most other shows. Nothing can get better than this – I’m a passionate print lover and to lead two of my favourite categories is a real pleasure. I’m delighted and looking forward to taking this opportunity forward,” said Padhi. Jimmy Lam, AdFest President expressed his delight and welcomed this creative leader to the show in 2018. A high-powered lady leads the Interactive Lotus and Mobile Lotus jury this year. 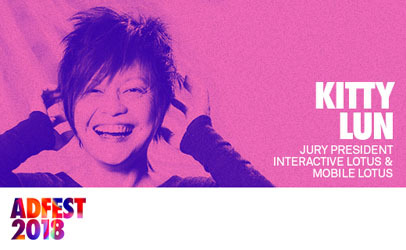 Kitty Lun is currently Head of Creative Shop for Facebook, Greater China. Prior to joining Facebook, her career was in advertising, starting out as a copywriter with Leo Burnett in Hong Kong. She quickly made Creative Director and, after a stint at Euro RSCG, became Chairman and CEO of Lowe Worldwide China. She joined Facebook in 2016. 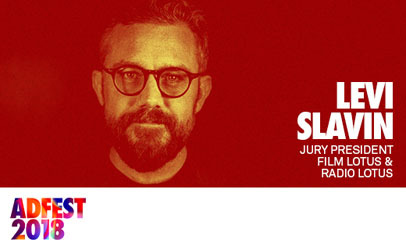 A man with a string of awards to his name, Levi Slavin, has just moved back to the Asia Pacific region from New York where he was Chief Creative Officer of Colenso BBDO. Now based in the New Zealand office of the same agency, he brings his experience as Jury President of the Film Lotus and Radio Lotus. Jimmy Lam praised him for producing consistently brilliant ideas for leading brands. There is still time to enter the Outdoor and Press and Film Lotus categories. Deadline is Friday 19 January 2018. Click here to enter.